As popular as Sushi, Yakisoba is another dish from Japan cuisine that travel across the world and appear in many Japanese style restaurant/kitchen. Yakisoba, simply put is a dish of stir-fried noodle with vegetable and protein like meat, seafood, etc. The soul in this dish is its dark and thick sauce with savory flavor of sour n sweetness, the Yakisoba sauce. If you ever come to visit Japan, you would see many Yakisoba being served along the road in many street stands. Just as many as rice dish, stir-fried noodles is popular due to its easy to make, delicious taste and customize-ability. 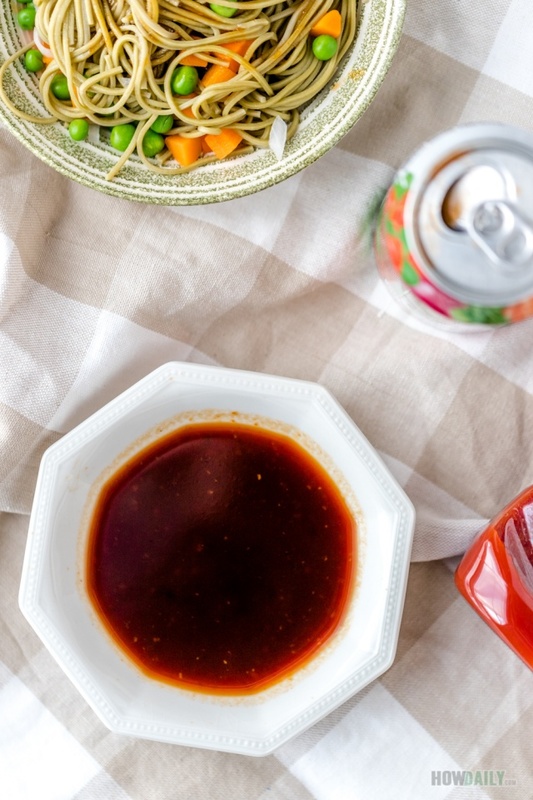 Just as unagi or yakitori sauce, there are many ways to make yakisoba sauce. It main ingredient is soy sauce and many other flavoring spice and ingredients. 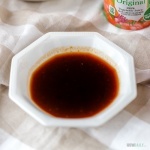 In some traditional recipe, this sauce often contain juice from apple, carrot, pear, etc. Then there’s the sourness, often from rice vinegar and thickening agent like ketchup. This recipe introduce another way to make yakisoba sauce, from a variety of ingredients that’s popular and can be found in the Western local grocery. To replace the juice, a couple spoon from the original V8 could be use, or if you have time, puree and juice half an apple, carrot and other similar vegetable. To make this recipe widely compatible, things like oyster sauce, hoisin sauce are skipped. However, the combination of rice vinegar, honey and ketchup as well as the process of slowly brewing over low heat would bring out similar result. This sauce can be made in multi-batch, then store in jar and chill for later uses. When there’s a need to stir fry noodle or vegetable, meat, just spoon some of this sauce over to make quick yakisoba. It can be used for marinating meat and similar too. Keep it air tight and free from moisture to preserve it longer, a month or more in fridge. One of the best stir-frying sauce for vegetable, meat and noodles, combine an all well balance of flavors: sweet, sour and savory delicious. 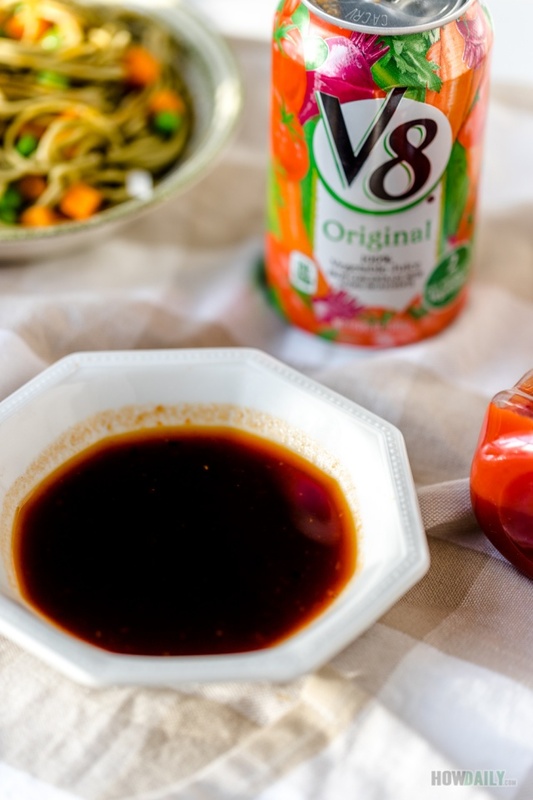 Try this sauce for your next pan fried yakisoba noodles. In a small sauce pan over small/simmering heat, add all the ingredients from wet to dry. Carefully stir to mix them all. The sauce will be thicker and caramelizing as you stir. Remove from heat, let cool to room temperature. Store unused in air tight jar and chill in fridge.